Great one level Bungalow. 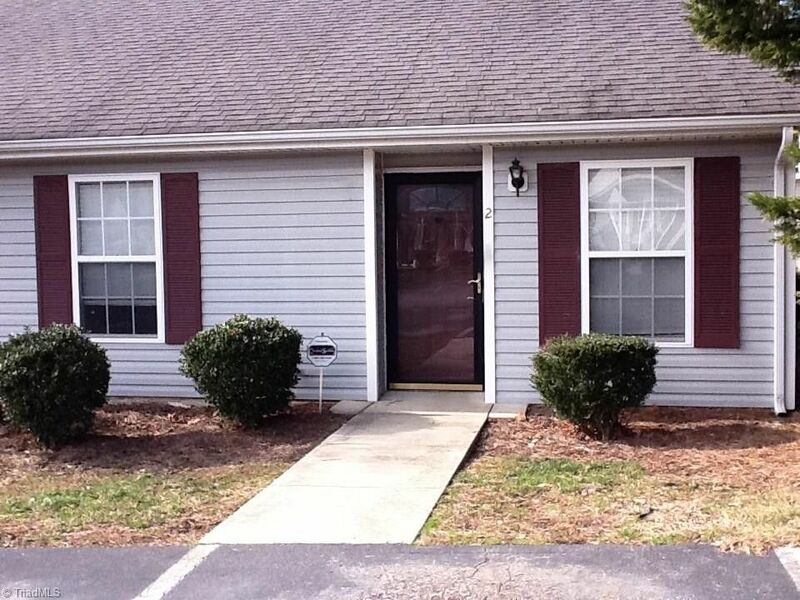 All new ceramic tile throughout this 2 bedroom 2 bath townhouse. Townhouse recently has been repiped for plumbing. Open floor plan, corner fireplace, vaulted ceiling with skylight. Separate laundry area, storage closet off fenced patio. refrigerator, washer and dryer to convey. Directions: from Downtown Greensboro S. Elm Eugene to left on Moncastle to right on Brackenlake Townhomes..to 2nd right off circle.